Every year, the U.S. Drug Enforcement Administration conducts a survey of the country’s law enforcement departments to determine which drugs are of top concern in local communities. What they found in 2016 was that heroin was far and away the drug that created the greatest worry. Marijuana, meanwhile, was generally of negligible concern. Less than 5 percent of all police agencies indicated cannabis was their biggest concern, which was down 1 percent from 2015. Marijuana remains illegal for all reasons per federal law, which the DEA staunchly defended over the summer. The agency spent a full 22 pages of its Drug Threat Assessment report on marijuana. Compare this to the 16 pages it spent going over the risk of prescription painkillers, which claims 14,000 lives annually. Many of the pages on marijuana wove through the state-level differences in law for medicinal and recreational pot, as well as some of the legalization trends of the U.S. For anyone who has been following the changing landscape of marijuana laws in California, none of this is really new information. However, one of the more interesting claims made by the DEA in that report is that media attention on marijuana-related issues has made it tougher to enforce existing marijuana laws and to prosecute those who violate these statutes. The agency also seems to be blaming “the media” for providing the public with information that is not accurate on the effects and legality of using marijuana. 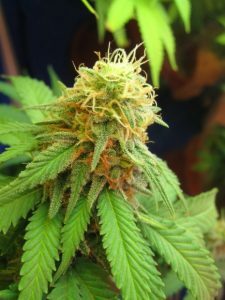 Specifically, the DEA reported that the public has received “contradictory and often inaccurate” information when it comes to the benefits and legal sanctions of using marijuana. This in turn has meant that law enforcement and prosecution of marijuana offenses is more challenging, particularly in states that have approved some type of marijuana law. Of course, it’s not outside the realm of possibility that poor information about marijuana is available online. That’s true of just about every topic. There are those who will erroneously purport that marijuana is fully safe or in no way a risk. Of course, this isn’t true. Responsible use, particularly while driving or when it involves minors being medicated, is imperative. But the truth is, these risks are typically far less severe than what we would see with prescription opioids or even alcohol. And as far as which media reports the DEA is referencing, that’s not clear because the agency did not respond to a request for clarification on this issue from The Washington Post. In reality, our marijuana lawyers know a good deal of the misinformation being distributed to the public seems to have started with the DEA. For example, the agency’s head in 2012 refused to concede that crack and heroin are more harmful than marijuana. The agency didn’t officially reverse that position until 2015. Also in the last couple of years, officials with the DEA have been trying to convince legislators that non-psychoactive hemp plants were being used by people to get high (not true), and used this as grounds to seize large shipments of industrial hemp seeds. This ultimately resulted in a lawsuit filed by the state of Kentucky. And the DEA has clung to this notion that marijuana is a gateway drug to all others, which has been disproved time and again. Officials with the DEA testified before state legislative committees, making claims like, “Wild rabbits could develop a taste for marijuana if the plant is allowed to be used as medicine by humans.” And the acting administrator has characterized medicinal use of the drug as “a joke,” even as there has been study after study indicating it may hold real promise for children with seizures, soldiers suffering from PTSD, cancer patients and those grappling with chronic pain.